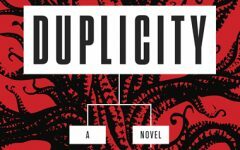 The best thrillers begin with ordinary, even joyous events and explore how one unfortunate turn can threaten everything that a person holds dear. 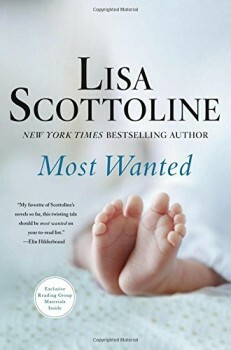 And “best thriller” describes Lisa Scottoline’s compelling new novel MOST WANTED, in which a couple’s dream—to have a child—becomes a nightmare, placing at risk a woman’s unborn child, her marriage, and ultimately, her life. Christine Nilsson is a devoted school teacher and a loving wife. She and her husband, Marcus, desperately want a baby, but Marcus suffers from fertility problems. After much soul-searching and research, they decide to use a sperm donor, and Christine becomes pregnant. Then, after two months, she discovers that her donor might be a serial killer. Against her husband’s wishes, Christine embarks on a quest to discover the truth about her unborn child, in the course of which she finds herself at great personal risk and is forced to confront her darkest fears. MOST WANTED is powerful not only because of its riveting, suspenseful story but also because of its sensitive treatment of important ethical and moral issues: What should you do if the biological father of your unborn child were a psychopathic killer? How could you reconcile keeping the baby with your husband’s distress at raising the child of a possible serial killer? What role should the legal system play in resolving these issues? Scottoline treats these concerns with sensitivity while deftly infusing this emotional story with humor that provides the perfect counterbalance to the serious, often harrowing obstacles that Christine must overcome in her search for answers. Scottoline has kindly agreed to share her thoughts on MOST WANTED, her writing process, and her future projects. One of the most hotly debated issues among fertility ethicists is how to balance the need for sperm-donor anonymity against the risk of genetic diseases. Compounding the problem, many psychiatrists believe that a person’s is rooted in genetics—and fertility clinics can’t always accurately screen for temperament and personality. What inspired you to write a novel centered on this important subject? I love novels that involve the complexity of moral and ethical issues, such as you just described, even better than I might have! And this idea just came to me one day, because I was thinking about how much my daughter means to me, and I’m a single mother with only one child. And I thought what if I couldn’t have had her, and then what if I used a sperm donor, and then what if my donor turned out to be a suspected serial killer? It was as crazy a what-if as I could imagine, but also one that would involve a lot of moral, ethical, and emotional complexity, so I got busy! Christine is an elementary-school teacher and a devoted wife and daughter, a seemingly “ordinary” person who must confront the reality that the biological father of her unborn child might be a serial killer. Please tell us more about her. I really wanted her as a character to speak for herself, and in particular, to let her actions speak for her, because I think that is the best way to illustrate character. People really are what they do, regardless of what they say, and she is a person whose predicament takes her out of her comfort level in elementary school. But I think she evinces a character trait that I see in many educators, which is an enormous compassion combined with an emotional intelligence – in other words, she thinks and feels equally, which makes her superb to carry the story. MOST WANTED is certainly a compelling thriller, but it’s also a wonderful character study. Please tell us a little about Christine’s relationship with her husband, Marcus. Again, I’ll let the relationship speak for itself, but what I really wanted to look at was that how crisis can impact marriage. I myself have been married and divorced twice, so this is something I’ve lived through and love to re-examine, which may not be a good thing! But my research told me that fertility can really test even the strongest of marriages, and the more research I did, the more it became clear to me that male infertility threatens a marriage in a way that female infertility does not and as soon as I latched on to that fact, I knew I had a really interesting twist to follow in this relationship. In your critically acclaimed Rosato & Associates and Rosato & DiNunzio series, your protagonists are attorneys. In MOST WANTED, Christine Nilsson is a school teacher. You, of course, were once a practicing lawyer yourself. Do you find it more difficult to write about a non-lawyer protagonist? I don’t find it more difficult to write about a nonlawyer because I never really regarded myself as an occupation. I have been a trial lawyer, a paralegal, a waitress, a mother’s helper, and a file clerk, and I never defined myself as any job. I think I’m a woman first, then a mother, then whatever I do for a living. I love being a writer, but even that doesn’t define me. 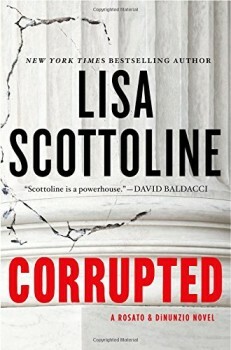 Your novel Corrupted, which came out last October, was based on a real-life scandal involving children being jailed for the sake of money. Is there a true-life incident that provided the spark for MOST WANTED? No, not specifically, but the more research I did into the unregulated frontier of the sperm banking industry, it became very clear to me that the situation that occurs in the novel was absolutely plausible and there were many legal cases that I found after I had the idea that were variations on the same theme. I love to look at the disjunction and disconnect that occurs between law and justice, and this novel really presents that squarely. In MOST WANTED, you write about laws governing fertility clinics, medical ethics, prison rules, the personality of serial killers, and the medical-equipment industry, among other topics. How did you research this novel? I love research and the bottom line is that I really worked at it. 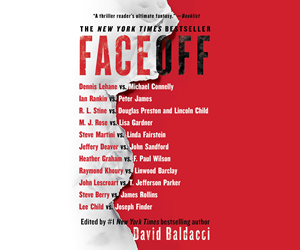 I found a bunch of fertility clinics and started interviewing people there, then I found some medical equipment salesmen and started interviewing people there, and even worked with a retired FBI special agent who profiled serial killers, in addition to reading tons of books on all of these subjects. I’m not even exaggerating. I spend a fortune on research books and I’m happy to do it. I love the research and anything I learn informs the novel, the characters, and everything else. One of my favorite characters is the colorful attorney Francis Xavier Griffin. Please tell us about Griff. That’s kind of you to say so, I really appreciate that you’ve obviously taken the time to read the book, as well as ask so many interesting questions. I really work hard on the minor characters because like anything, they support the whole. It’s like a good side dish to a meal, and if the side dish is lame, then the meal is brought down to that level. I really like Griff as a lawyer and as a person, and I think that he’s very realistic of a certain type of country lawyer of his age. He has lots of integrity and an insatiable intellectual curiosity, and I wanted to feature both. Also I’m a very warm and fuzzy person and it’s fun to write the occasional character that’s a little less cuddly than I am. It’s a game I play with myself to see if I can make him likable despite the fact that he’s not trying to be liked. I hope I succeeded. Christine is dogged, resourceful, and unconventional in her pursuit of the truth—a wonderful amateur sleuth. Is there any chance that we’ll meet her again in a future novel? I don’t know but I really love that you pulled those qualities out because I think that is very definitional of who she is, and those are elements that I hope to cultivate in myself, frankly. Which books and authors inspired you to become a writer? Do you have any favorite non-thriller/mystery writers? I loved the Nancy Drew series as one that inspired me to not only become a writer, but to become a lifelong reader, which is my joy. 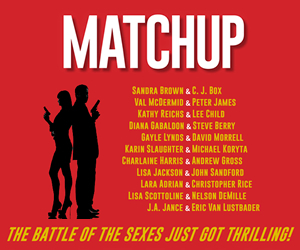 I’ve read so much and so widely that I can possibly name anybody, puzzle-game trouble with my other author friends. But I think the important fact here is that it’s good for people who write in our genre to read inside and outside of our genre, because then we don’t buy into the clichéd view that genre “is a thing.” I love to read almost everybody who writes mysteries and thrillers because I think they’re simply the best writing in fiction – they tell a story with superb characterization, spot-on dialogue, and a plot that moves and actually works in many cases is a puzzle, if not as a triumph at the end, with a twist! 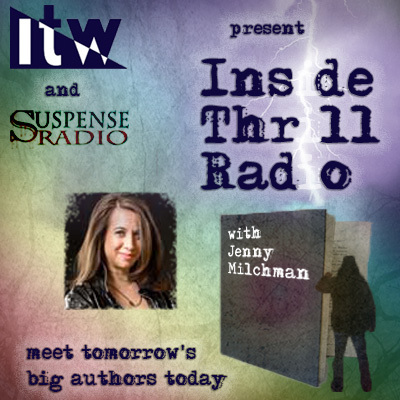 A good thriller or mystery is a high-wire act, and don’t let anybody ever tell you different! And I think all of us write books that stand as novels, on their own terms, and I feel very proud to be in such excellent company. As an attorney myself, I always wonder why so many lawyers have become writers. I’m curious what your answer would be, but the fact is I really loved being a lawyer so it wasn’t to escape, as I hear many lawyers say. I think it’s that if you’re arguing a case to a jury, you are essentially telling a story in a certain point of view, which is exactly what I do with every novel I write. Many lawyers are just terrific storytellers and all you need to confirm that is to have a drink or two after a hard day in court. I love lawyers and that’s why I always like to feature them in all of their glory, and all of their warts, in many of my novels, especially the Rosato & DiNunzio series. Writing conferences are rife with advice for aspiring writers. What advice would you give to authors who’ve published several novels but who haven’t yet broken out? I really want to encourage everybody, because I really think we need more voices and more writers and more wonderful stories. I got rejected for five years before I was finally got published, and my first novel was never published. My main advice comes from Nike shoes, believe it or not, and it is, just do it! I say this because in my opinion, writing is behavioral. You need to sit down and pound out some words every day, even if you’re not any good. Get it down, then get it good, and it becomes its own discipline and reward. Anybody can do it, and there’s really no mystery to it, but it is a question of acting instead of just talking about it. So I would tell anybody who wants to write a novel to go for it! And I had a secret little rule when I was unpublished, which was that when I wasn’t working on my book, I had to be reading somebody else’s. So that’s my second important advice, read, so that you can understand what works in stories and what doesn’t. THEN go for it! Please tell us about your next projects. I just finished the next Rosato & DiNunzio novel, DAMAGED, which will be out in August! But that’s all I can say for now! Thank you so much for this incredible interview, I really appreciate it I’m so thrilled to be in THE BIG THRILL!!!!! To learn more about Lisa Scottoline, please visit her website.